Srinivas was killed in a bar shooting incident last week in an apparent hate crime. 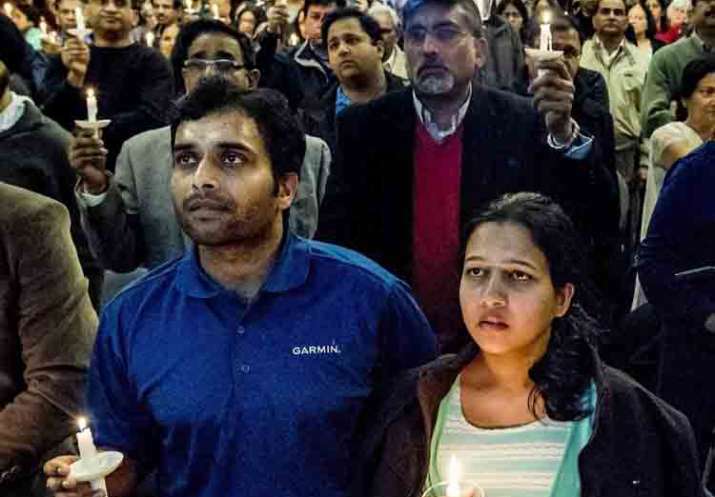 Hundreds of people in Kansas City joined a peace march and prayer vigil, celebrating the life of Indian engineer Srinivas who was killed in a bar shooting incident in an apparent hate crime. The sisters of the third man, an American identified as Ian Grillot, injured that night when he intervened during the argument with the shooter US Navy veteran Adam Purinton; Lt Governor Jeff Colyer, US Congressman Kevin Yoder, Olathe Mayor Mike Copeland, Olathe Police Chief Steven Menke, and other state officials also joined the march and the prayer meeting. Addressing the gathering, Madasani remembered his nine years of friendship with Srinivas. "Srini was the kindest person you would meet, full of love, care and compassion for everyone. He never uttered a word of hatred, a simple gossip, or a careless comment. He would always make sure everyone is doing fine and taken good care." "The main reason why I am here is that's what my best friend, Srinivas, would have done," Madasani said. "He would have been here for me." Madasani and Kuchibhotla both worked for GPS device-maker Garmin. At the vigil, Madasani recalled how Kuchibhotla never complained about picking him up and driving him to work over a six-month period. "He waited till I bought a car. 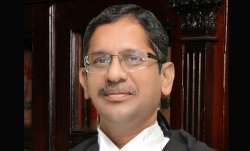 That's the kind of guy he was — is," Madasani said. He called the shooting "an isolated incident that doesn't reflect the true spirit of Kansas, the Midwest and the United States." That drew applause from the audience at the vigil. "When you grieve, we all grieve," Copeland said. Speaking at the gathering, Mayor Copeland said, “"When you grieve, we all grieve,” adding "We will not let one act of evil separate us or divide us." Srinivas, 32, was killed and Alok Madasani, of the same age, was injured at a city bar by the navy veteran screaming racial slurs and telling them to "get out of my country" and "terrorist" before he opened fire on them. He reportedly mistook them for immigrants from the Middle East. Adam Purinton, 51, of Olathe, is scheduled to appear in court Monday. He faces first-degree murder and first-degree attempted murder charges. The incident has led to fear among the minority Indian-American community+, who feel being targeted by President Donald Trump's controversial plan to ban travellers from certain countries to realise his campaign pledge of putting "America first." At a news conference two days ago, Srinivas's wife Sunayana Dumala asked the US government+ what it would do to stop hate crimes against minorities. She said reports of bias against minorities make them afraid+ and wonder whether "do we belong here".